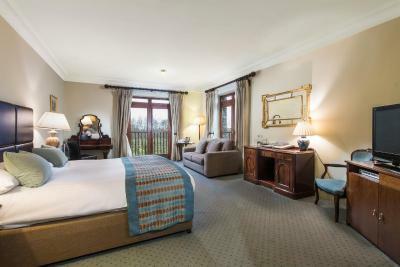 Lock in a great price for Seiont Manor Hotel – rated 8.8 by recent guests! Loved the conservatory and bar. Food VERY good. Fab location, good staff amd good room..quirky hotel really liked. 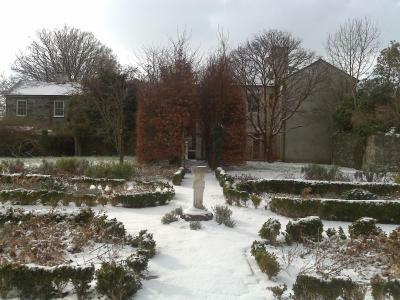 Seiont Manor is a beautiful, old hotel in the gorgeous countryside near Caernarfon. We had never been in the region and did not know what to expect but were pleasantly surprised by the size of the room, the comfort and cleanliness and the overall charm of the place--for a very reasonable price. In addition to the roomy accommodations, the hotel has a heated pool and sauna and beautiful gardens and terraces to enjoy. The staff were nice and professional and quickly and easily provided additional towels and pillows when asked. Breakfast was included and cooked to order--full English or a variety of other choices--very nice. We wished we had spent more time here and would definitely stay here again if we ever come back to North Wales. Attentive, professional staff. Wonderful location near to so many attractions. 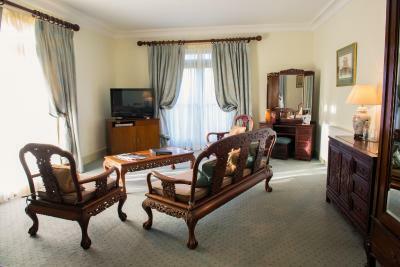 Huge, comfortable suite and excellently priced. Only there for 1 night but had a very pleasant stay. Good value for money. The room was extremely spacious and immaculately clean. Every member of staff we encountered were professional and helpful. 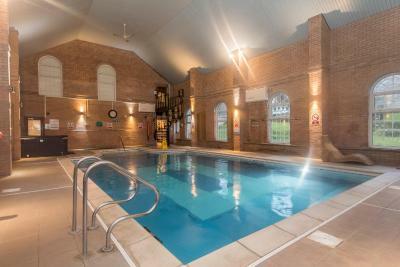 Great to have a pool and sauna too. Breakfast was excellent. 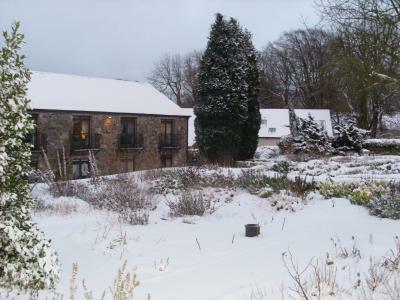 Lovely location in the countryside but still close to Llanberies. Breakfast was good, hot and also buffet. 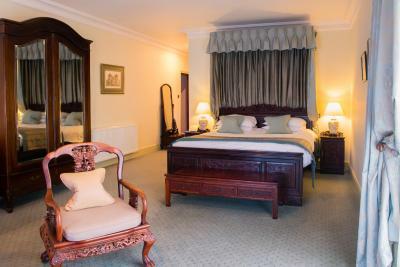 Seiont Manor Hotel This rating is a reflection of how the property compares to the industry standard when it comes to price, facilities and services available. It's based on a self-evaluation by the property. Use this rating to help choose your stay! 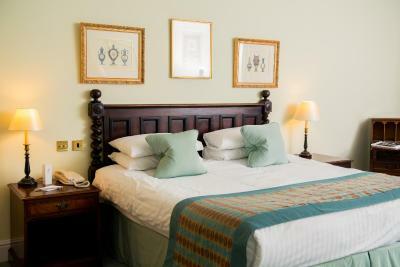 Located on the edge of Snowdonia National Park, Seiont Manor offers spacious bedrooms with scenic views. Surrounded by 150 acres of farmland, the hotel features a modern restaurant and fitness center. 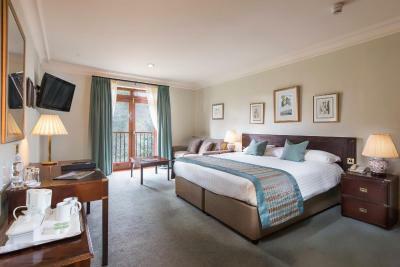 All rooms feature an private bathroom and a private balcony or terrace with river, garden or mountain views. All rooms offer free luxury toiletries, complimentary mineral water and free Wi-Fi access. Tea and coffee facilities are also available. 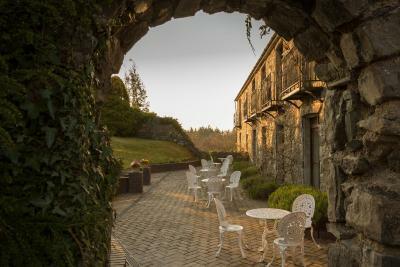 Set in a Georgian stone farmhouse, The Seiont Manor Hotel features a cozy library with an open fire and 2 elegant guest lounges. The River Seiont flows through the ample grounds, where there is a fresh herb garden. 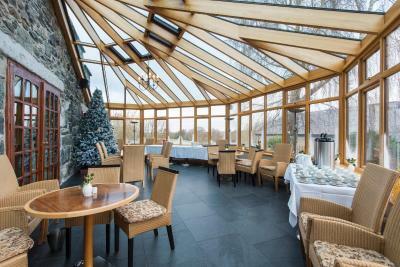 The Llwyn y Brain Restaurant serves seasonal, local produce and a modern British menu. 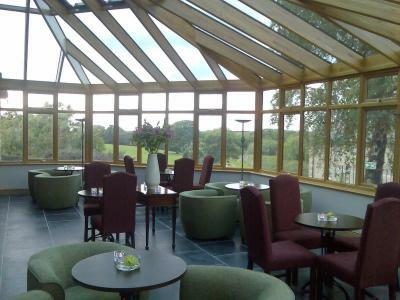 There is also a stylish Conservatory for informal light meals and full afternoon teas. The impressive breakfast menu offers fresh cooked options and indulgent specialty dishes. 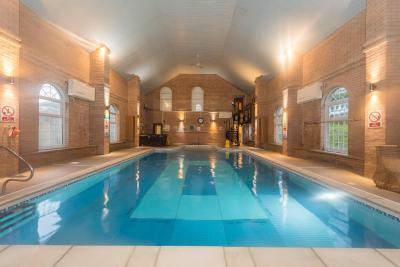 Seiont Manor Hotel features a grand Victorian swimming pool. There is also a fully-equipped modern gym and sauna. 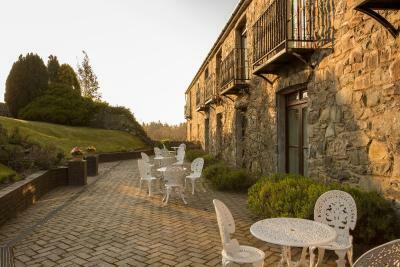 Fishing and walking activities are available locally, and Bangor town is just 5 minutes’ drive. Caernarfon castle is just 4 miles away, and Angelsey can be reached in 10 minutes. llanberris is a 3 minute drive away. 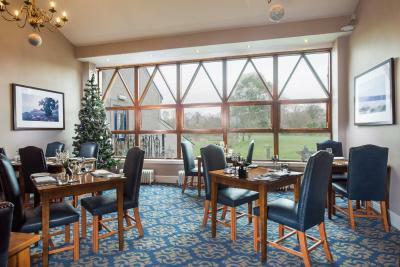 When would you like to stay at Seiont Manor Hotel? 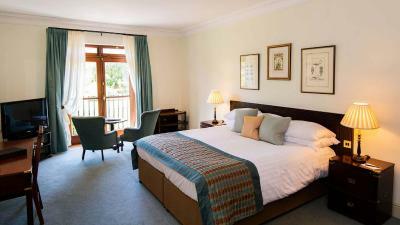 Spacious room with views of the herb garden or the stream and woods. With free Wi-Fi, it also has a TV with satellite channels, tea and coffee making facilities and an private bathroom. Individual rooms with spacious living areas, scenic views and a private balcony or terrace. 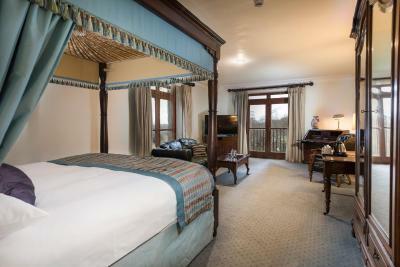 Individually decorated suites offering exceptional views out over the grounds. This double room features a bathrobe, tea/coffee maker and electric kettle. This family room has a tumble dryer, electric kettle and bathrobe. Please note the bed type is on a request basis only. 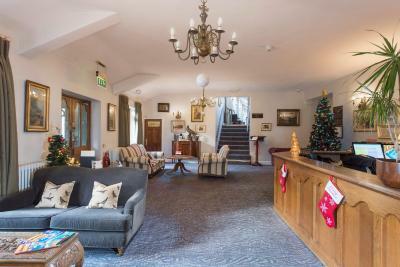 House Rules Seiont Manor Hotel takes special requests – add in the next step! Seiont Manor Hotel accepts these cards and reserves the right to temporarily hold an amount prior to arrival. 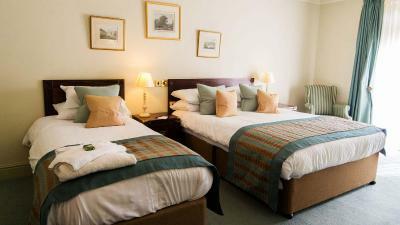 Please note that the Double or Twin Room - Disability Access bed preference is on a request basis only. Cleanliness of the room carpets, towels, bed sheets and pillow covers. Also the hotel had limited supply when asked for a change of the aforementioned. I was just feel disappointed as we stayed in disability access, it was really very noisy at early morning walking up and down, banging doors upstairs. It took almost an hour to keep it quiet, like 5AM. Did not able to sleep well. The food was a disappointment. lovely stay so relaxing the beds are so comfortable didn’t want to leave! Milk in the rooms for making tea or coffee had been left for quite a long time and was off ! No negatives....great value for money. Would stay again. 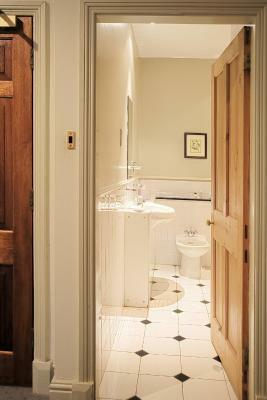 The room and bathroom were clean but needs a bit of maintenance and updating in places. The warmth and helpfulness of the staff. The bathroom was large and clean, but the pipes were really noisy and shower not the best. Also a bit frustrating that the bathroom light was controlled by motion sensor. So stayed on for a while after use. Location was great, hotel was very smart, the room spacious and comfortable. Breakfast was good. Happy that they were able to serve dinner despite a fairly late arrival.